Whitby Jet is an organic gemstone made from the fossilised wood of the ancient monkey puzzle tree, Araucaria. Tra nsformed over a period of 180 million years, deposits of Jet have been found in many places around the world, such as North America, Spain, and Russia, the Jet found around the small seaside town of Whitby on the North Yorkshire coast of England has always been considered the finest due to its stunning, mirror like shine and intensely black colour when polished. 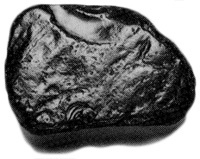 It was during the Victorian era when Whitby Jet reached its height of popularity. 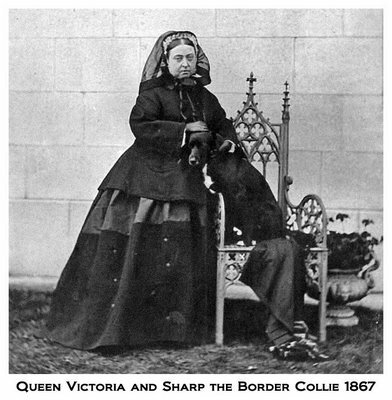 Worn and loved by Queen Victoria, this royal patronage made demand for the product soar. Large suites of matching jewellery were fashionable, and Whitby Jet’s remarkable lightness in weight and warmth to the touch made it wonderfully comfortable to wear. Add to this the ability to carve the gem into the most intricate designs, while retaining its famous, ‘jet black’ colour, the local gemstone quickly became an overnight sensation. Jet also fitted perfectly into Victorian fashion. As the century progressed from the simple, lightweight dresses of the Regency period to much fuller, darker and more elaborate dresses, jewellery as always had to follow suit. There were so many pleats and folds, tassels and brocades that jewellery had to be big enough to be seen. Jet served this purpose perfectly because of its lightness in weight. So when the fashion for ‘big’ culminated in the voluminous crinoline, large, dramatic sets of jet jewellery that were intricate ly carved and shone like mirrors were perfect, as well as being the ideal in vogue colour – black. Fast forward 150 years and this ever more rare gem is now set in exciting modern designs using traditional hand crafting skills as well as revolutionary new techniques including Computer Aided Design (CAD). Regarded as a precious British gemstone in its own right, Whitby Jet is now more likely to be found set in high end jewellery, alongside diamonds and in 18ct gold and platinum.